Michael, now Backscratchers’ Chief Executive Officer, was experienced in working with fiberglass and recognized that its lightweight, strong and durable qualities could be effectively manipulated to create superior nail products. Jack proceeded to successfully test the product at his beauty school. After more than a year of product research and development, the renowned Backscratchers Glass Glaze Fiberglass System resulted in a formula that was safe for both skin and nails. The year 1989 marked the introduction of Backscratchers’ complete nail care system. 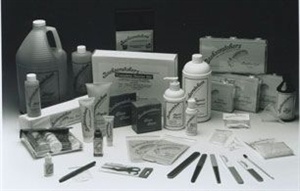 The Salon Aseptic Control System, developed for salon health and sanitation, appeared in salons in 1993. The patented Septifile Sanitizable File System followed in 1995. In 1996 Backscratchers underwent many changes, including Michael’s appointment as president, and a new corporate identity and logo. Backscratchers Heavenly Soles Foot Care System debuted in 1997, the patented Extreme Powder Glaze System in 1999, and the fast and easy brush-on fiberglass system Accélawrap in 2002. 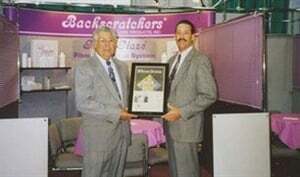 In 2009, Backscratchers celebrated 25 years in business. 1984 was quite a year. 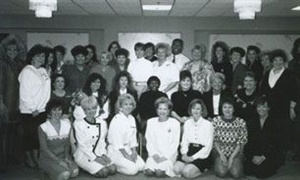 Apple Computer introduced the Macintosh, stonewashed jeans had just made their entrance into pop culture, and Backscratchers Salon Systems introduced fiberglass wrap technology.